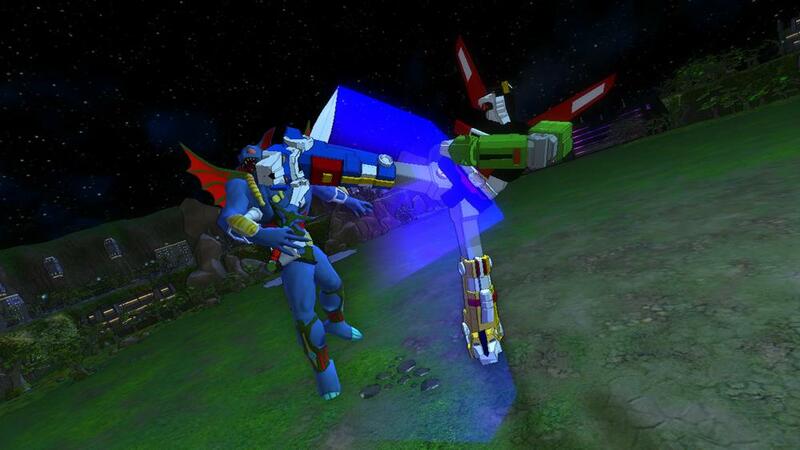 A compotent game – Above all else, Voltron: DotU is a capable and solid game. The controls are tight and responsive, the enemy AI fitting for the genre, and the visuals presented in a beautiful, stylized manner. 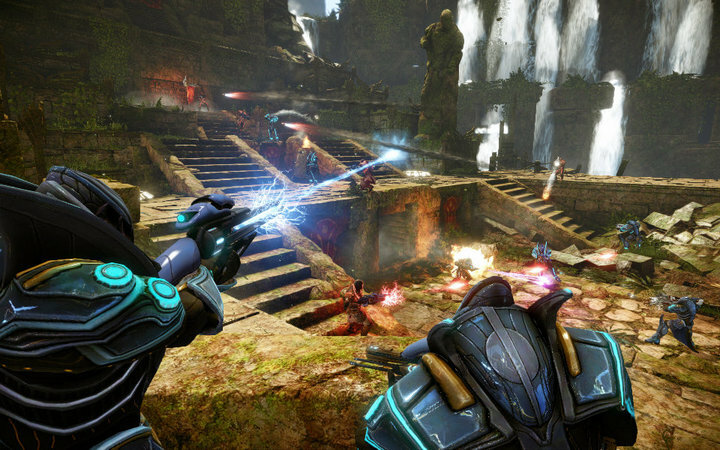 But the real gem is here is the hybrid offline/online co-op for up to five players–something that no other twin-stick shooter. During Voltron sequences each player gets a turn performing attacks. It’s a novel way of sharing the gameplay of one character without making it overly complex. Fan service – Clearly the developers have a love for the franchise. It shows in even the smallest of nuances. 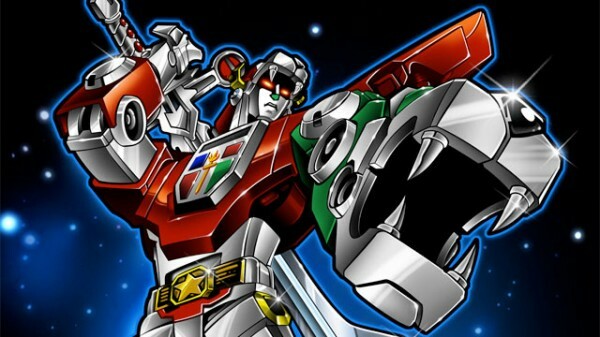 Pause the game and the original show’s narrator, Peter Cullen (Optimus Prime), will say “Voltron will be back after these messages.” Unpause and you’re greeted with “Now, back to Voltron.” That sort of dedication is shown throughout the game. 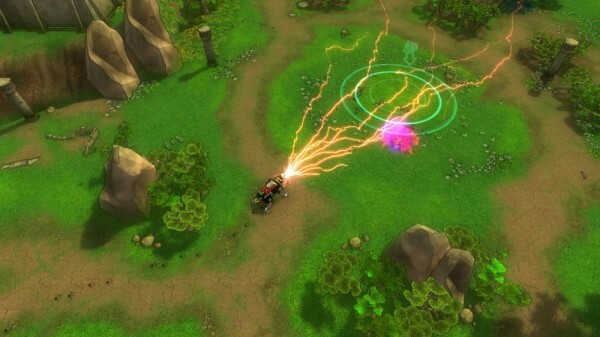 Each level begins with a clip from the original series, each playable lion features voiceovers from the original actor on its pilot–it even shows in the avatar items available for purchase alongside the game. A whopping 32 items are available, from t-shirts, to lion avatar pets, to flight suits and even a Voltron suit. That’s dedication. Price-to-value ratio – If Voltron were offered for 1200 MSP it might be a bit of a tough sell, but for only 800 MSP a shorter campaign is quite forgivable. It’s not that it’s even that short, it’s just that once you get into playing the game you’ll want a little more. Thankfully the developer and publisher realized this and set a price that’s fair–something that has been an issue with so many other Xbox Live Arcade games. Voltron (robot) sequences – We have to credit Behaviour Interactive here: there’s not an easy way to have five people control one character. Yet it’s pulled off brilliantly, giving off that same anime vibe the show had. Even still, these sequences may be both disappointing and frustrating to some players. You’re not trained in any way as to how to control Voltron, you’re just sort of thrown to the wolves. And even once you get the hang of the controls it’s still an acquired taste, and may be something some people will never be able to stomach. No bonus episode? – At some point you’ll finish the game and end up craving more, but there are no unlockables to speak of. There’s no episode from the original series to watch, no bios for the characters, no model viewer, and most importantly, no challenge or versus maps. It’s these kinds of things that could have both warranted a higher 1200 MSP asking price while also providing an even deeper commitment to fans. If the game ever gets patched we’re begging for at least the bios and model viewer. We want to see the lions up close in 3D. 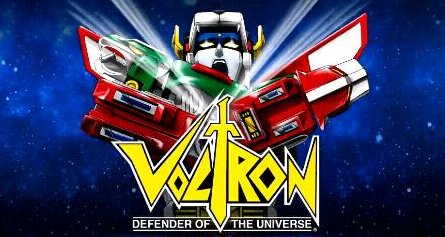 Voltron: Defenders of the Universe is a great little game, but it’s not for everyone. The twin-stick/quick time nature of its gameplay will be appetizing to fans of the genre, but those who prefer other control methods may be turned off. That’s really where the line gets drawn. 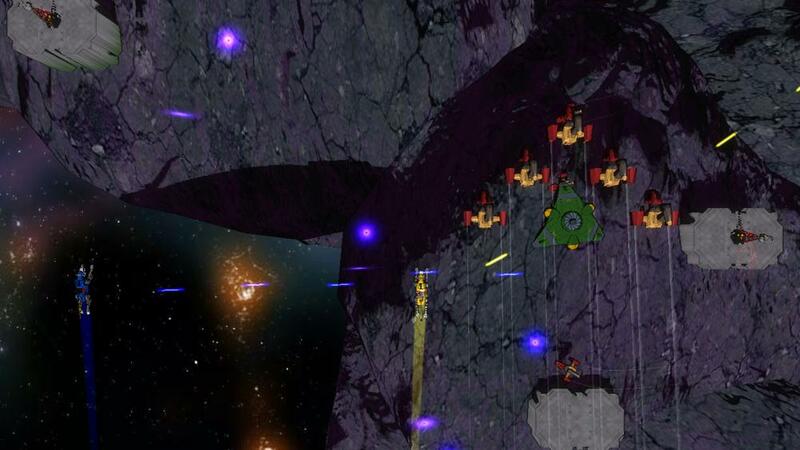 If you love twin stick shooters, even if you aren’t steeped in the lore of Voltron, you’ll find this a solid game. On the other hand die hard fans of the series looking for a different style are going to swallow a bitter pill. It’s the right fit for the series and provides a fullfilling experience, but it’s all up to personal preference.